Meet the new Extra Crispy Chicken! (SPOT.ph) We already love KFC's Original Recipe fried chicken with its "11 secret herbs and spices," but who can resist that resounding crunch when you bite into an extra crispy drumstick? 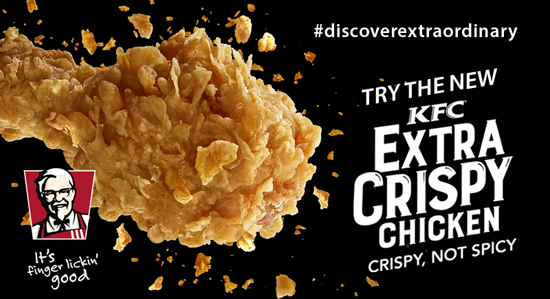 Seems like some folks at KFC feel the same way because they've just added something new to their menu: the Extra Crispy Chicken. KFC has crunchy fried chicken on their menu in the form of the Hot and Crispy, but this left out those who aren't into spicy food. 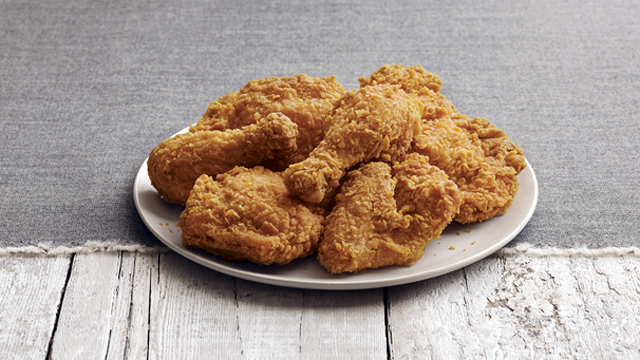 With the Extra Crispy Chicken, you can get their Original Recipe chicken, but with golden-brown, crispy fried skin that would pair so well with their gravy. You can get the Extra Crispy Chicken with a junior mushroom soup and rice for only P99.